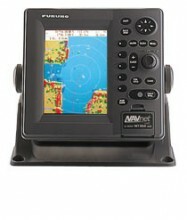 Click the button below to add the Furuno 1734C/NT NavNet vx2 Radar System to your wish list. The Furuno 1734C/NT NavNet vx2 Radar System provides all the latest features for your marine network. NavNet vx2 combines radar, GPS/WAAS chart plotter, fish finder, and network weather facsimile into an all-around navigation network. Its wide range of options fulfills virtually every desire you may have for a navigation system. Fully supports C-Map NT MAX chart.